Frank's RedHot Sauce have kindly given me a case of 6 bottles of hot sauce to give to one very lucky winner. 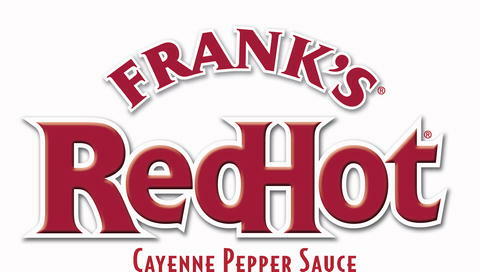 You can become a fan on Facebook at https://www.facebook.com/FranksRedHotUK or on Twitter at https://twitter.com/franksredhotuk. Entry is via the Rafflecopter form below. The competition will be running from 5.30am on 1st October 2012 until 4am on 31st October 2012. It is open to UK residents only, aged 18 years and over. Winners will be drawn at random on 1st November 2012 from all valid entries. IMPORTANT: You MUST complete all of the initial entries to be included in the draw. All the entry options you see below in Rafflecopter MUST be completed, the ones that appear after you have finished these however, are optional. I used it loads in summer for marinating meat for the BBQ, there are tons of recipes on the website and they are really tasty! The kids loved the spicy wings..
chicken breast stuffed with cheese, covered in hot sauce - yum! I've actually never seen it before but do like a hot sauce. Probably pour over some nice ribs. I havent tried it yet ...but looks like it would compliment my spicy pork dish very well. On cheese on toast ! To spice up my pasta. Never tried it but I think it would be nice on a burger! Cheese on toast, I love adding a kick to it! I like it on chips. I haven't tried it yet but I think it would go great with pasta! I love Frank's Hot sauce on Pizza! I can't eat hot sauces, but my husband and 15 and 23 year old sons use them on pasta and chilli . Would love to try this !!! I'd love to use it to liven up my turkey mince chilli! On cheese on toast or to spice up noodles. Hot sauce + melted butter = hot wings sauce!!!! I have a lentil and rice casserole that would be nicely spiced up with this hot sauce! Home made meat feast pizzas to add a little zing ! I think it would go brilliantly with burgers! mmmmmm!!! hotter the better! on jacket pot and beans! Meat, pasta, eggs, chips, most things really!